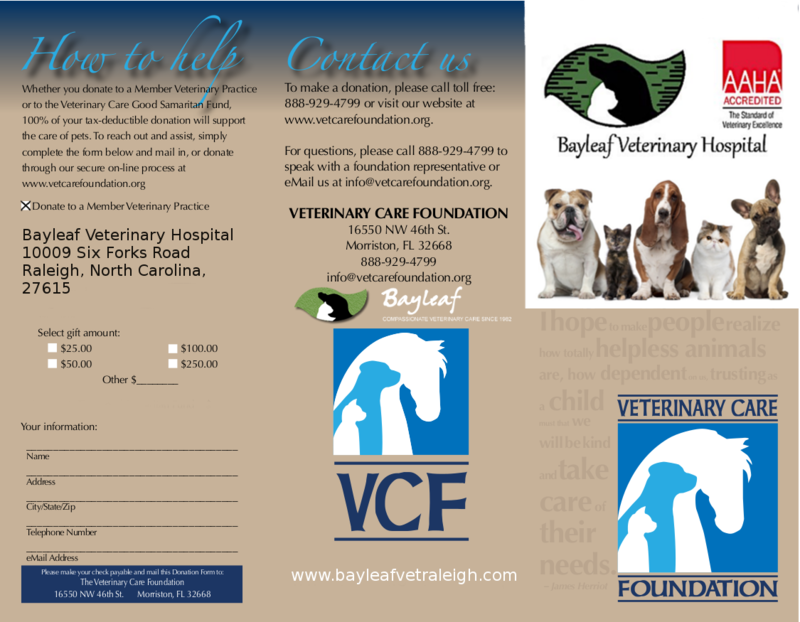 Bayleaf Veterinary Hospital has a long and proud tradition of charitable outreach in Raleigh. We have always run our own adoption program; in 2016 we helped 22 animals find their forever homes through our subsidized, in-hospital adoption program. Additionally, we have always partnered with a variety of excellent breed specific and general rescue groups. Finally, we are proud to support the Hospitality Pet Program at Wake Med and Guiding Eyes for the Blind. The doctors and staff at Bayleaf are excited to announce that we can now offer our clients an easy way to support our charitable outreach: and it’s fully tax-deductible! 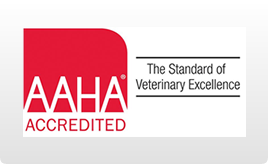 Bayleaf has partnered with The Veterinary Care Foundation, a 501 (c) (3) charitable foundation which is administering a fund on our behalf to support and expand the charitable work that we already do. As all VCF’s administration costs are covered by Bayleaf, 100% of all donations to our fund will go directly to helping pets. Not a single penny of your donation will be diverted to marketing or overheads; every last cent goes to providing medical care to animals who need it. Many of you have already asked how you can donate to support Bayleaf’s adoption program and other charitable groups that we support. 1) You can follow this link to Bayleaf Veterinary Hospital’s Charitable Fund, and make a direct donation online. 2) You can print off the form below, and mail it in to the address on the form with a check made out to the Veterinary Care Foundation. It is important to include your name and address, so that VCF can supply you with tax information. 3) Finally, at your next visit simply inform one of our client services team members that you would like to make a donation. We can accept cash or credit/debit. Your donation will then be immediately added to our fund and you will receive a donation/tax receipt from VCF. ← Download our New, Free App!